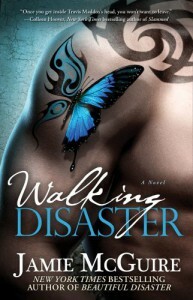 Thanks to the publisher and netgalley for giving me the opportunity to review and advanced reader's copy of Walking Disaster. I will not be giving a full review of this novel. 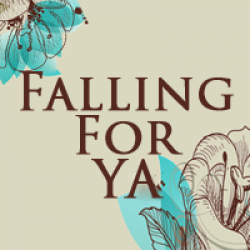 I made it a little under half way in to the story and found that I was basically just re-reading Beautiful Disaster. I expected more new content and insight in to Travis's mind. Instead it just felt like the same scenes re-hashed. I actually began to dislike Travis and that's when I knew I needed to put the book aside. I enjoyed Beautiful Disaster and didn't want my memories of that novel to be tainted by my dislike of Walking Disaster. This novel also felt very disjointed and choppy to me. It felt like a 'best of' clip show and only focused on the scenes between Travis and Abby rather then what was happening in Travis's life outside of Abby. I look forward to reading other titles by Jamie McGuire in the future and plan to read Providence. Through reading Walking Disaster I came to realize I don't particularly care for novels about the same story written from a different perspective.